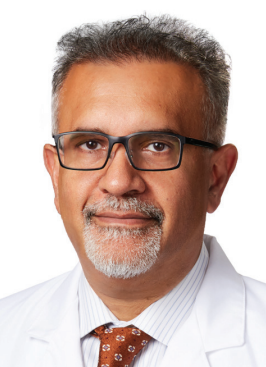 Ahsan T. Ali, MD, FACS is boardcertified by the American Board of Surgery and specializes in vascular surgery. He has a particular interest in complex vascular cases including: thoracic outlet syndrome, aortic graft infections, aortic dissection, and spinal exposure. Dr. Ali enjoys spending his free time cycling, camping, fishing, hiking, and watching Dallas Cowboys football.